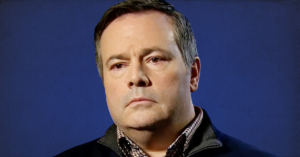 In December, a leaked audio recording detailed a plot by Kenney to recruit Callaway to run for the UCP leadership only for the purpose of attacking Kenney’s main rival, Brian Jean. 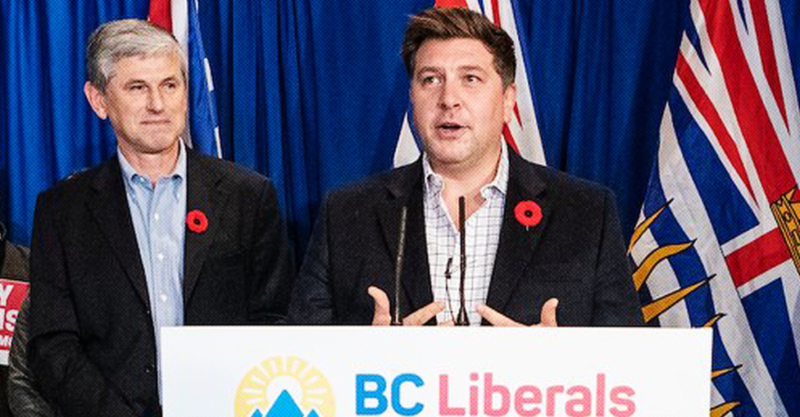 Gill previously alleged Callaway’s campaign benefited from $40,000 in “suspicious donations” from a secret PAC. 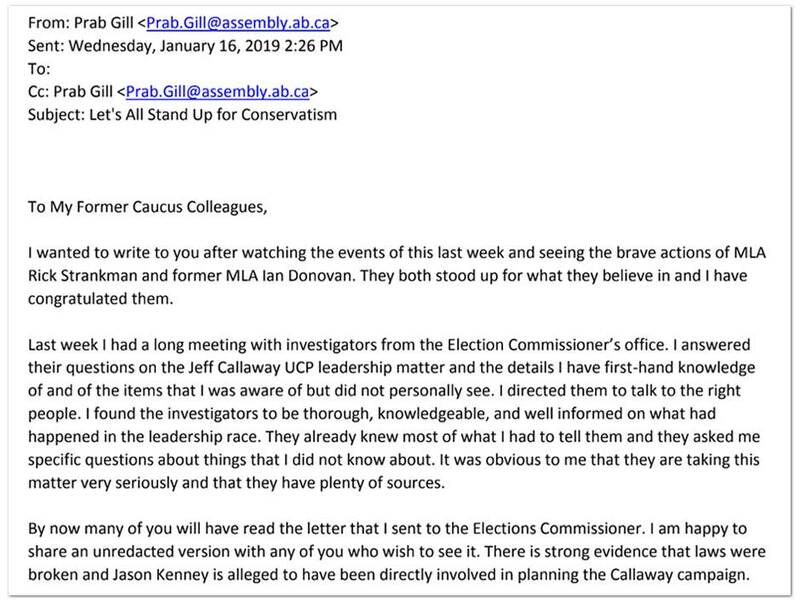 In his e-mail to former UCP colleagues this week, Gill says the investigation could be devastating for Kenney and his party right before Alberta’s provincial election. “There is strong evidence that laws were broken and Jason Kenney is alleged to have been directly involved in planning the Callaway campaign,” Gill writes. The Office of the Election Commissioner has previously stated it does not comment on open investigations. In his private e-mail, Gill tells his former colleagues he had a “long meeting with investigators from the Election Commisioner’s office” last week. “I answered their questions on the Jeff Callaway UCP leadership matter and the details I have first-hand knowledge of and of the items that I was aware of but did not personally see,” Gill’s e-mail reads. “Just yesterday (Kenney’s) favourite columnist wrote in the Edmonton Sun that it won’’t matter. I am worried that it will matter,” Gill says. Gill did not respond to a request for comment from PressProgress. 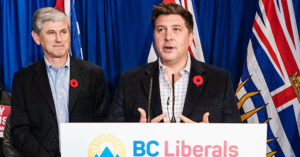 On Thursday, a UCP spokesperson dismissed Gill’s allegations of “more scandals,” suggesting the former UCP MLA lacks credibility.